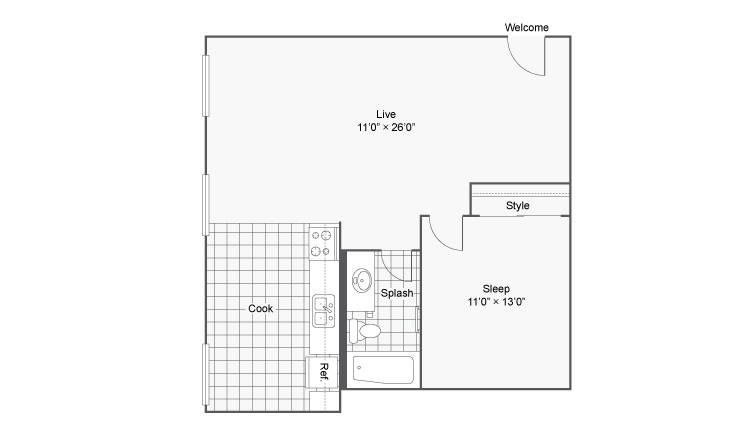 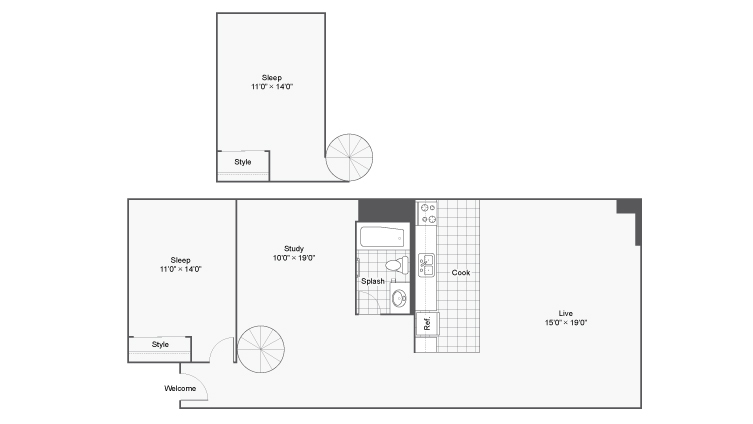 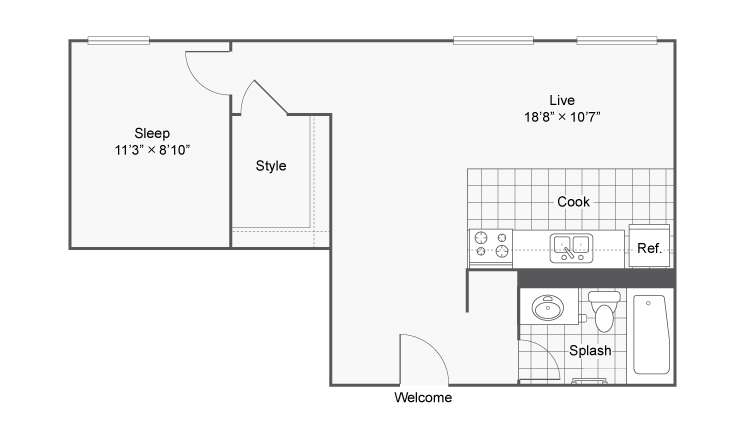 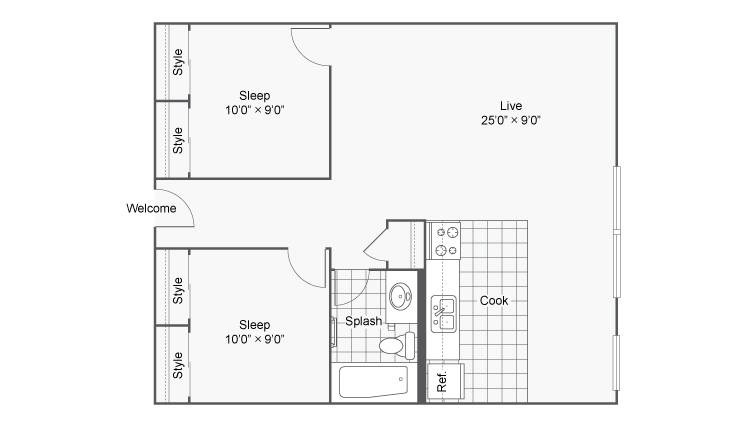 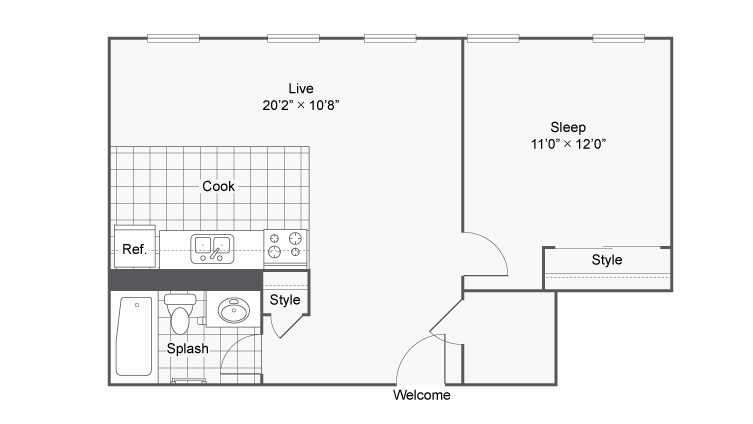 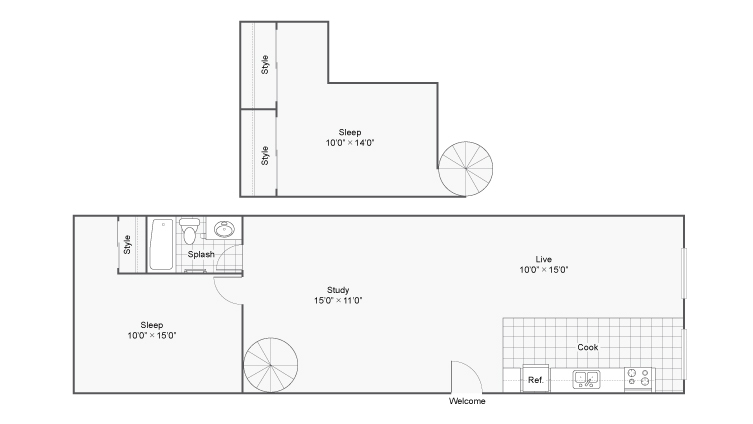 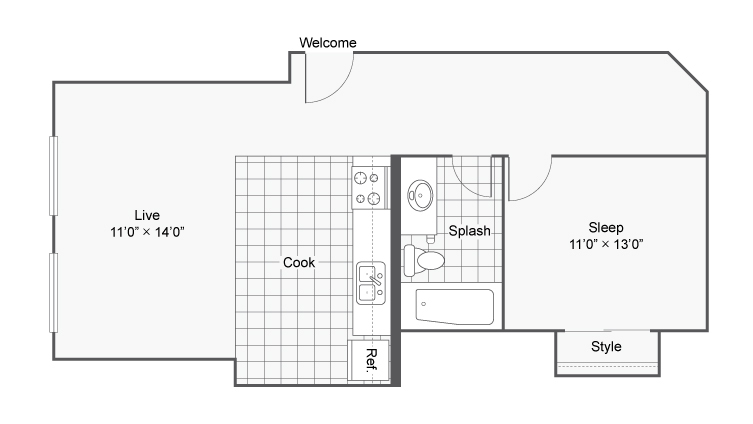 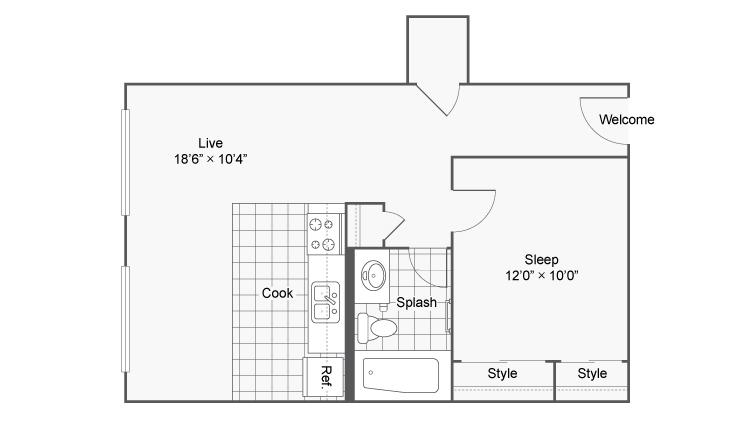 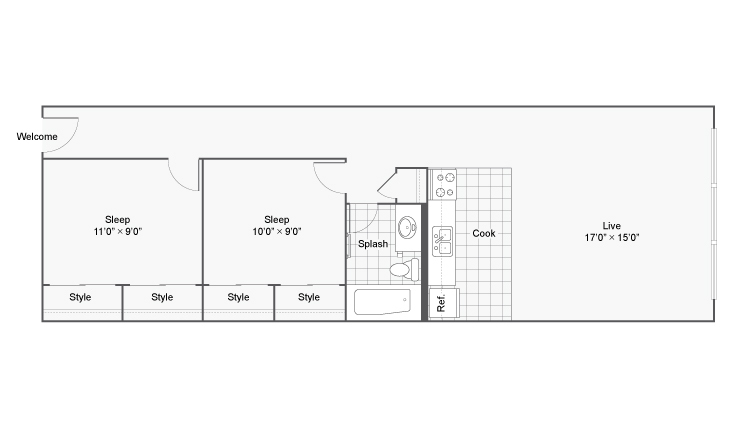 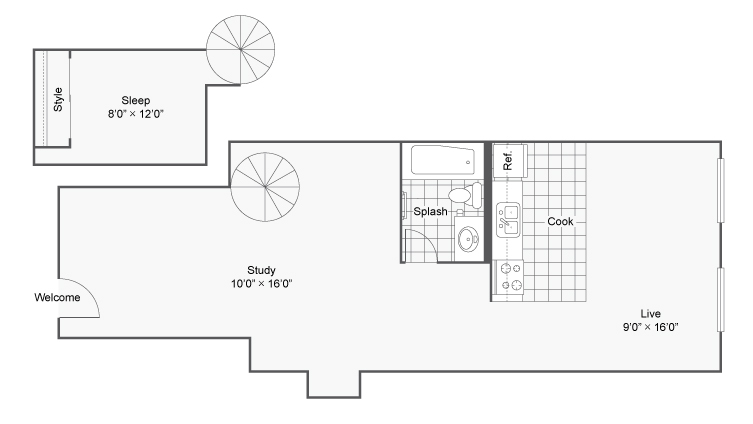 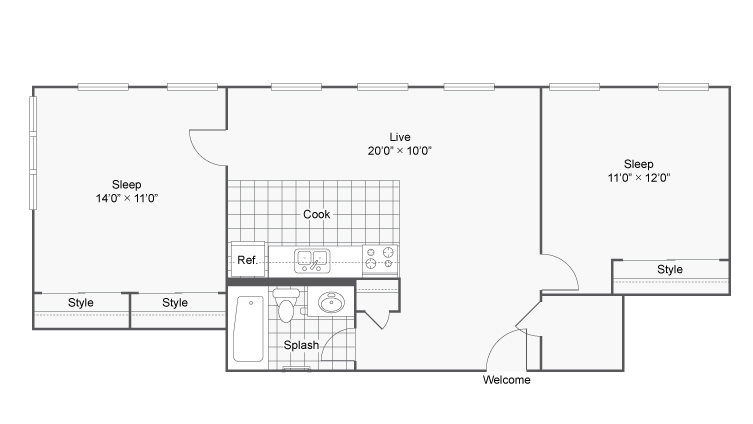 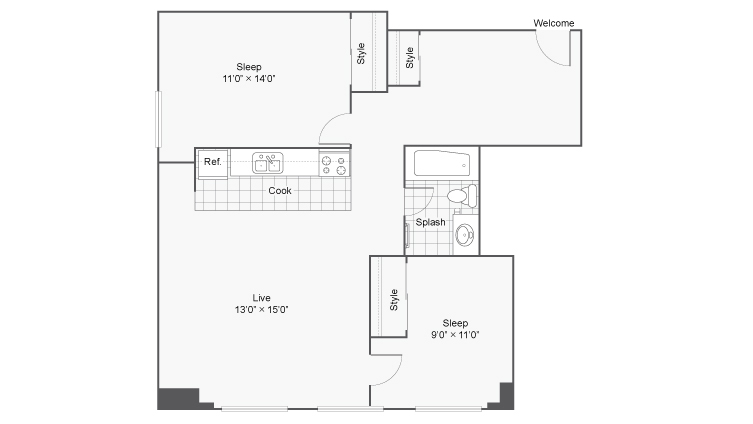 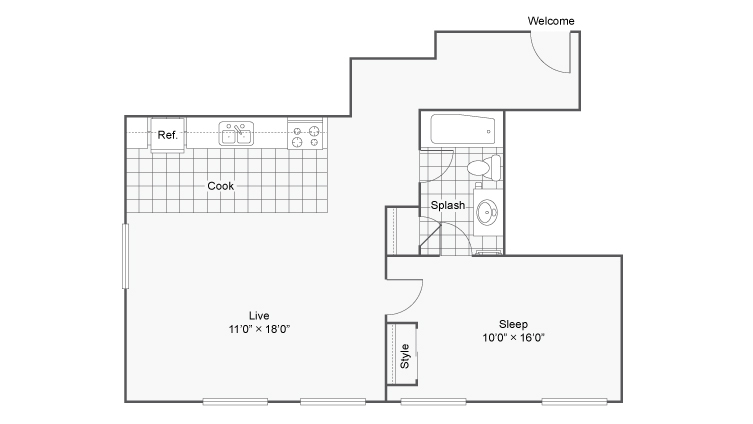 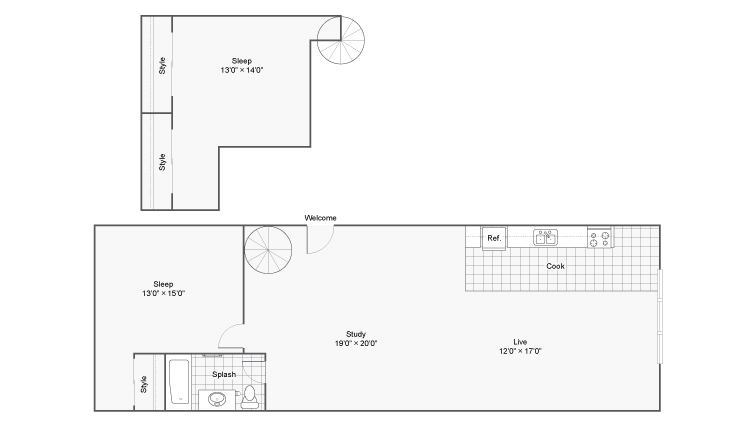 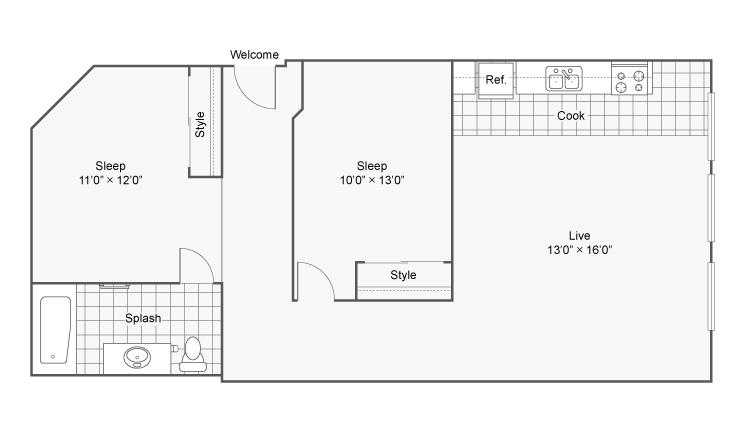 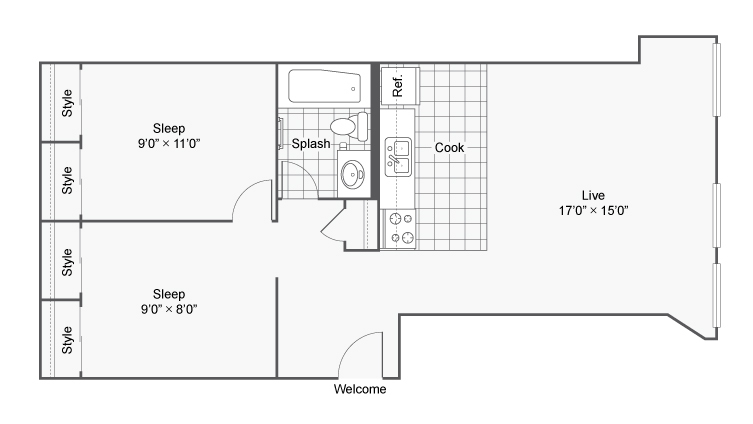 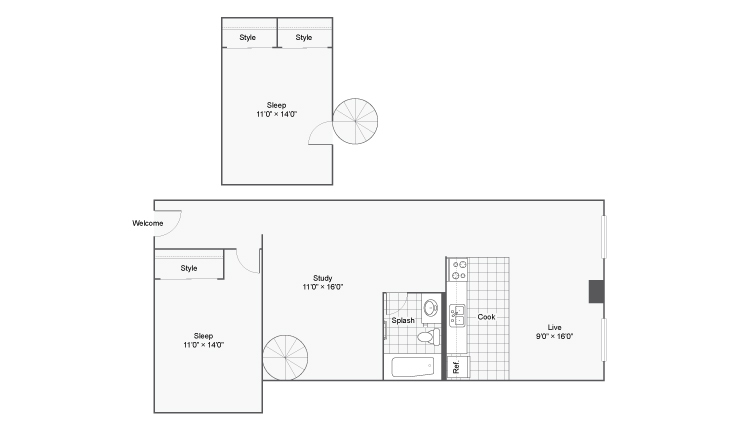 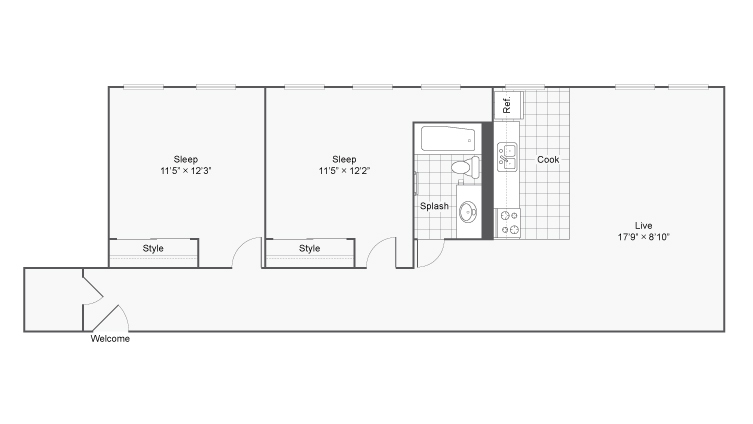 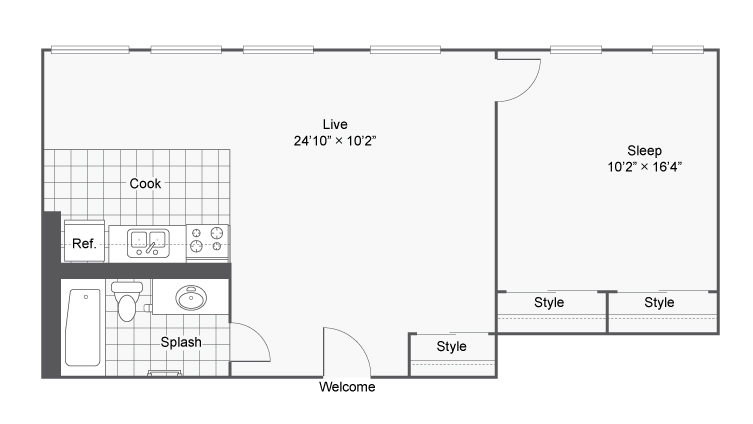 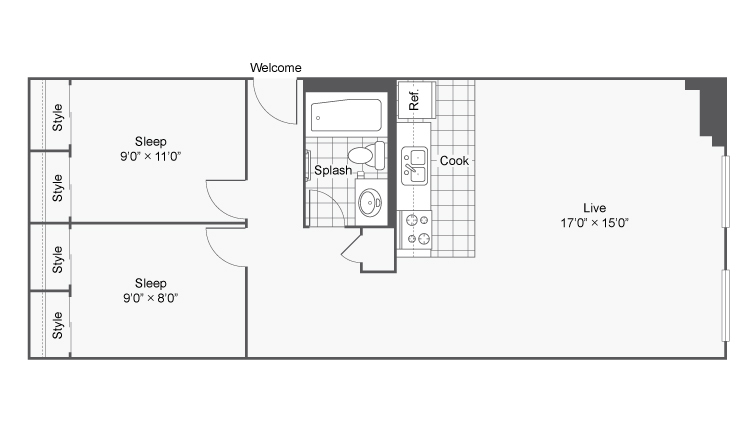 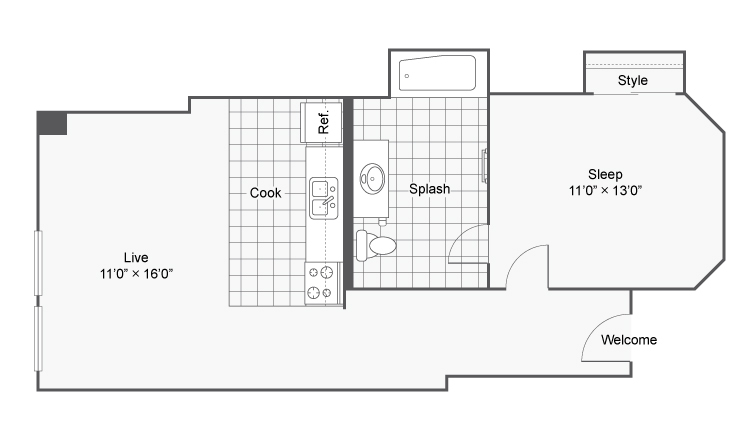 Check out our awesome layouts for 1- and 2-bedroom apartments! 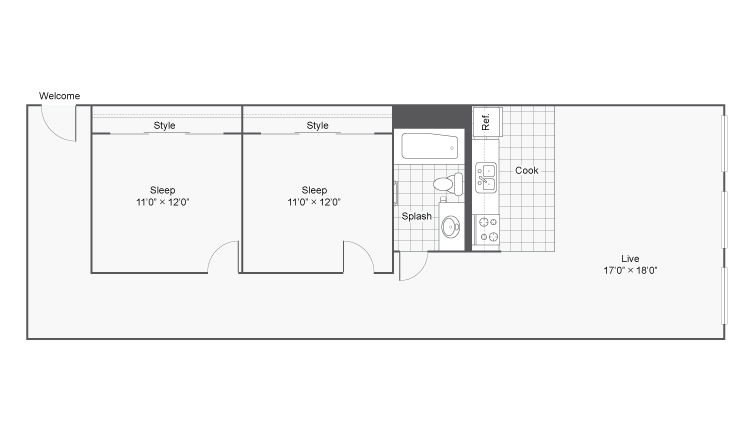 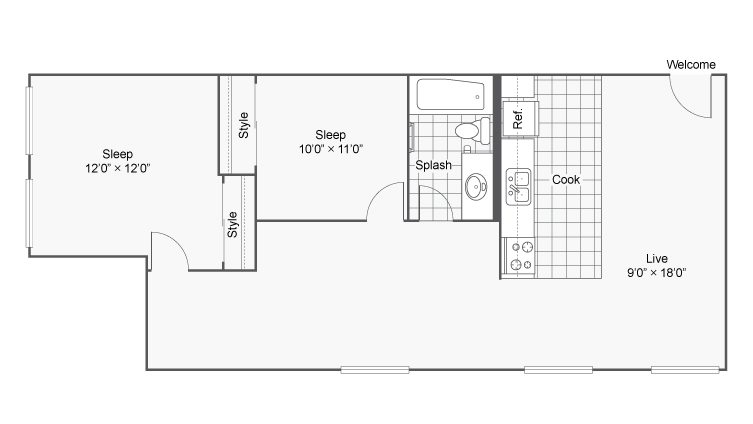 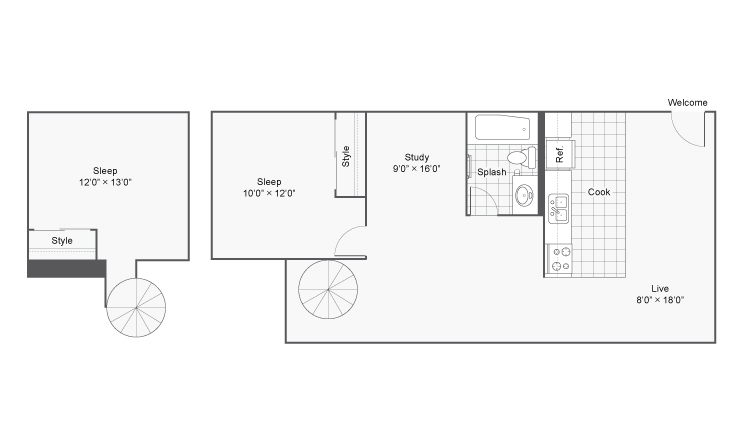 Denver is home, and having a practical, space-utilizing floor plan makes all the difference between enjoying your living arrangements and wanting to move somewhere else ASAP. 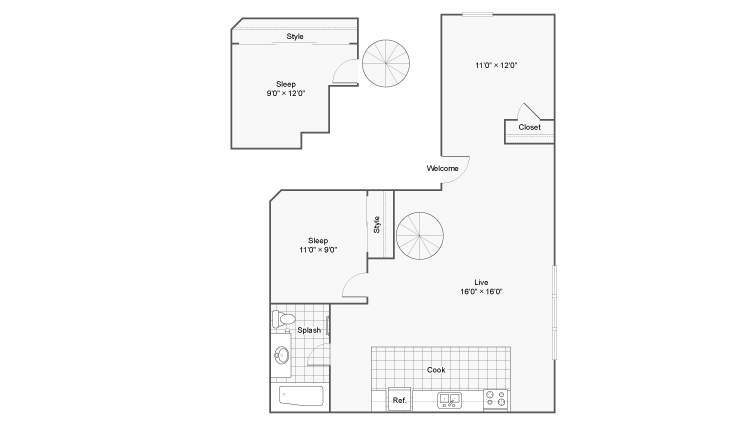 Here at ReNew on Stout, we understand that — which is why the details are important to us in each one of our apartment homes. 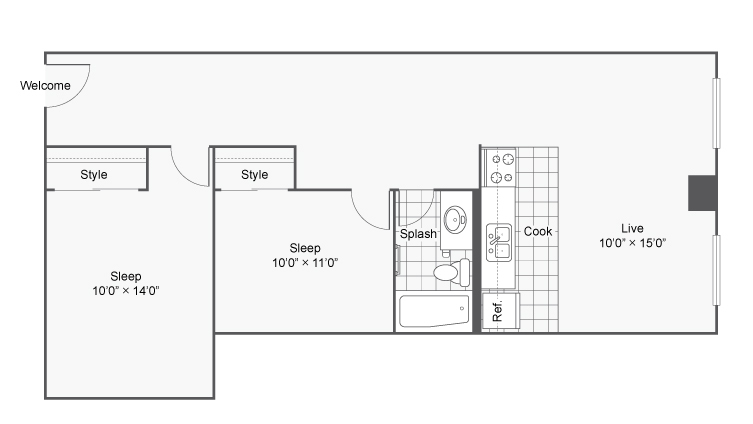 Whether you are cooking, washing, sleeping, or entertaining, our dedicated spaces will help you do it in style. 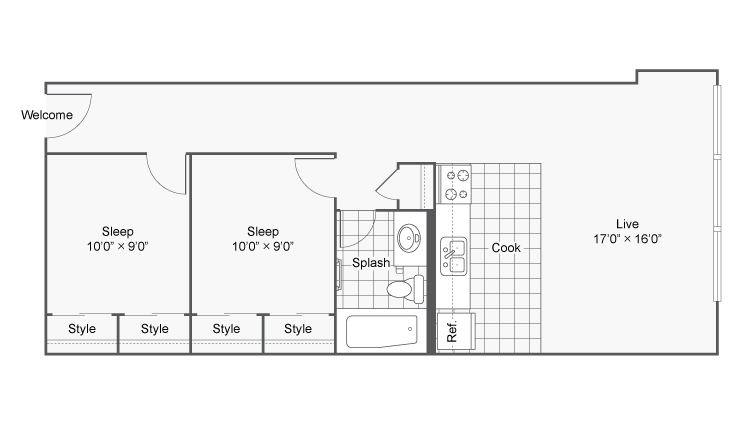 We provide plenty of additional storage space, individual climate control, and lovely views. 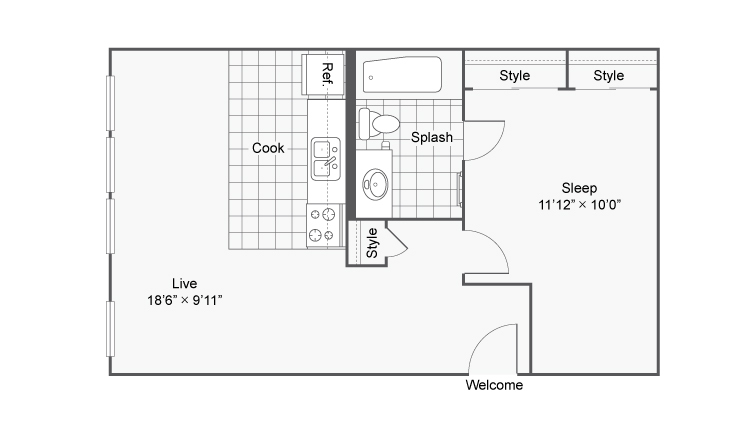 Visit our photo gallery to see for yourself the apartment and community amenities we provide for our residents — all within a pet-friendly community (we accept dogs and cats; breed restrictions apply) in a convenient Denver location. 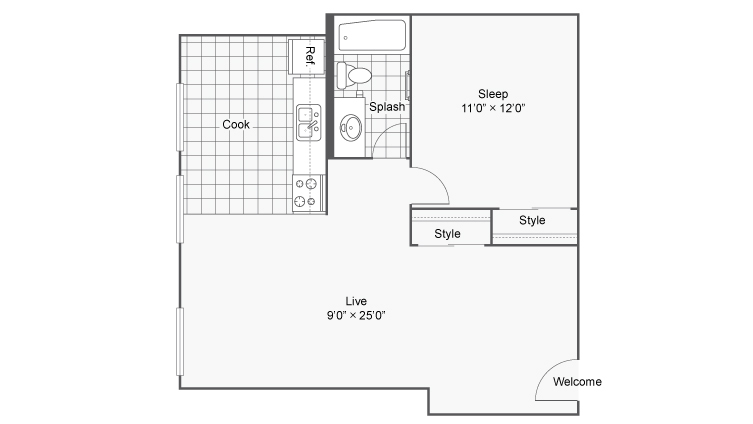 Check out what’s available, contact us to set up a personal tour, or simply apply online! 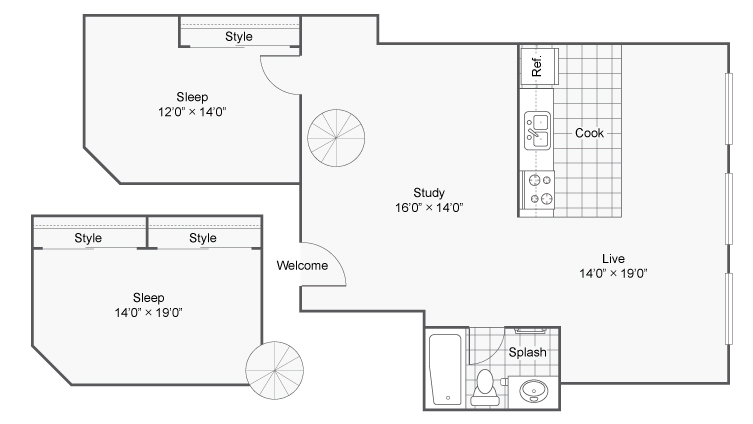 Discover a community redefined at ReNew on Stout.